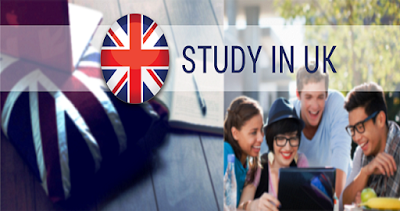 Anyone who wishes to study in the UK will need to know how to get UK student visa. Although not all young people coming to the UK will require a visa, it is important to find out whether or not one is required for you, which requirements must be met and when you must submit your application. This article claims to give you all the necessary information to help you find out how to get UK student visa and the application process. Anyone who is from a home country outside the EEA or Switzerland must apply for a student visa for the UK if they intend to come to the country to study in any capacity. This includes attending a fee paying school, a college or higher education institution. Which Types Of Student Visa Are There? There are four different types of student visa which can be applied for depending on requirements and circumstances. If you are only planning on staying for a period of less than 12 months there are two different visas available. The first is for young people aged fewer than 17 who are intending to study in the UK for less than 6 months - the Short Term Student Child Visa. The second is for students over the age of 18 who intend to take a short course in the UK. This is the Short Term Student Visa and is available for a period of 6 months, with a possible extension to 11 months for those studying an English language course. For those intending to stay for a longer period there are two further visa types. For young people aged between 4 and 17 who are going to attend a fee paying independent school, there is the Tier 4 Child Student Visa and for those over the age of 16 who are going to attend a UK college or university can apply for a Tier 4 General Student Visa. Too many students who require a student visa for the UK leave the application process until it is too late and end up missing the beginning of their course. The processing time for visas may vary from case to case but may take several weeks. It is important to apply in plenty of time before your course is due to begin, and you can submit an application at any time up to three months before the date your course is due to commence. You should make sure that you have everything in place ready to submit your application at the earliest possible opportunity. When applying for a UK student visa you will probably need to supply relevant paperwork demonstrating your financial independence and any relevant qualifications. You will probably also need to enroll your bio metric information as well as attending an interview. Some students may also be required to take an English language competency test. Although there are no requirements to have vaccinations in order to apply for a visa, some educational institutions may have different regulations. If you are from a country that is at high risk for tuberculosis, you may also need to have an x ray before applying. Any students staying in the UK for over 11 months will also have to pay a surcharge on their visa of £150 to fund healthcare. There is a list of suitable institutions that have been approved by the UK government for attendance by international students which can be found on the government's website. It is sometimes possible for students to be accompanied by their dependent family members when they relocate temporarily to the UK and this information can also be found on the government's immigration website.